Thinking about getting a payday loan? This Speedy Cash review tells you what you need to know about the lender, helping you make an informed decision. No matter how carefully you plan your budget, occasionally you might find yourself facing an unexpected expense – like an emergency repair or an overdue utility bill – without enough funds in your bank account to cover it. When that happens, short-term lenders like Speedy Cash can provide a stopgap solution to cover your expenses until you get paid again. The first Speedy Cash location opened in California in 1997, and the company now operates in the United States, Canada, and the UK. Along with cash-advance loans (more commonly known as "payday loans"), Speedy Cash offers title loans, installment loans, lines of credit, check cashing, cash for gold, and prepaid credit cards. These services can help you get through a temporary financial pinch and avoid late fees, overdraft charges, collection calls, or utility shut-offs. 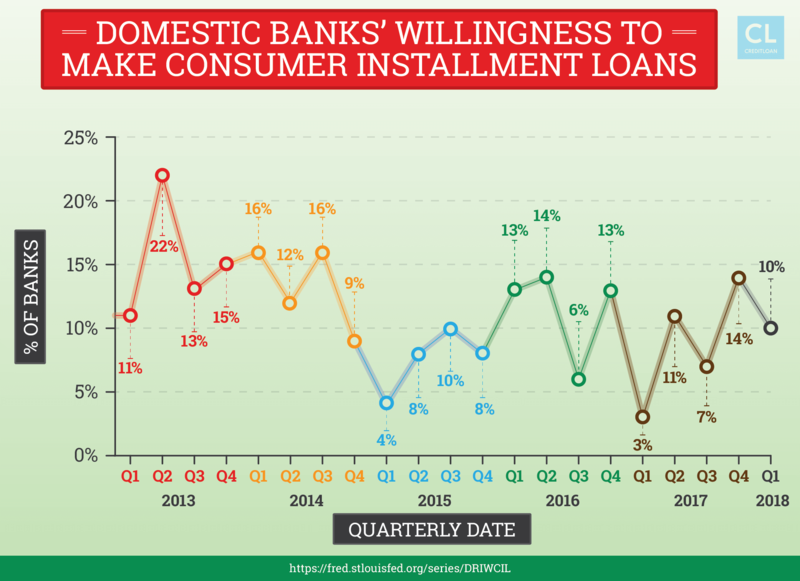 Interest rates and fees can be much higher than traditional banks, and customers may be vulnerable to "loan shark" tactics from predatory lenders. If you're unable to pay the loan off as scheduled, you may end up paying more in interest and fees than the initial amount they borrowed. The high cost of a short-term loan may lead to even bigger financial problems down the road. Interested in learning more? Jump to a section or start at the beginning for everything you need to know about the lending service. Bottom Line: Is Speedy Cash right for you? If you just need a small sum to float you until your next payday, cash advance loans—also known as "payday loans"—let you borrow a small amount of money for a short period of time (typically one week, two weeks, or one month, depending on your pay cycle). Let's say you fell a little behind on rent this month, and you owe your landlord $400—but your next paycheck is only for $300. A payday loan won't do the trick in this situation, since you know your next paycheck won't be enough to repay it. With a Speedy Cash installment loan, you can borrow the amount you need and pay it back over a period of a few months. There's no fee for paying it off faster than expected. You can only have one installment loan open at a time with Speedy Cash, so if you get stuck again next month, getting another installment loan won't be an option. Speedy Cash looks at your credit history when you apply for an installment loan, so if your credit is subpar, you may be turned down. But even if you have bad credit, you can still apply for a bad credit loan. Speedy Cash offers a "minimum payment" option, but keep in mind if you only pay the minimum each month, you'll rack up interest quickly. You borrow a lump sum—say, $1,000—which can be paid back gradually over time. You can access cash, up to your credit limit, as long as you have the loan open. Say you've made a few monthly payments, and the total amount you owe goes is now $850. If you suddenly find yourself strapped for cash, you can access up to $150 from your line of credit—the difference between the original credit limit and the amount you still owe. If you own a car, you can use it as collateral to borrow up to $50,000 from Speedy Cash (based on the value of your car). You'll need a clear title and proof of insurance to apply for a Speedy Cash title loan. Even if you still owe money on your car, you may be eligible for a "Second lien title loan." When you encounter an unexpected financial snag, you may need cash in a hurry to avoid late fees, overdrafts, and utility shut-offs. Whether you need a little bit of money for the next few days or flexible credit for the next few months, Speedy Cash has a variety of options that can help keep you afloat. However you look at it, sky-high interest rates are a huge downside. This isn't unique to Speedy Cash. Most short-term loans have exorbitant interest rates—but you still need to be extremely vigilant and double-check your paperwork when applying for any Speedy Cash loan to make sure you fully understand your payment terms. Fees, interest rates, and rules can vary widely from state to state, but here are a few examples. If you can't pay your loan off as scheduled, the interest can add up quickly. At a rate of $20.71 per week, it would only take a little over three months before you owed more in interest than you initially borrowed. If you set up biweekly payments over the next six months—a total of 12 payments—your biweekly payment amount would be $86.83 (with a final payment of $86.89). Multiply that by 12 payments, and you'll pay a total of $1,042.02 over the course of the loan. That comes out to an APR of 359.032%—and you've paid more in interest than you initially borrowed. If you miss any payments or renegotiate the terms of the loan, you could end up paying even more in interest. It's worth noting that many businesses offer financing options for customers, which may be a better deal. For example, in the fridge situation above, you could apply for a credit card from a home improvement store, which would have a much lower APR—often around 18%—and you may even earn discount or cashback rewards. Finding a short-term lender you trust can be a challenge—and in a financial emergency, you may not feel like you have time to research your lending options as extensively as you'd like. One key advantage of Speedy Cash is its above-board business practices—they're a licensed lender that follows the rules and regulations for each state they do business in. The Pew Charitable Trusts notes that Speedy Cash is subject to few complaints compared to many other short-term lenders. Online loans are quick and convenient, and when issues arise, customers say it's easy to contact Speedy Cash by phone, and representatives are typically helpful. Speedy Cash also offers the option of applying for a loan at in-store locations across the country—and the experience in-store can be hit or miss. For example, a Speedy Cash location in Beaumont, TX received an "A" rating from the Better Business Bureau, while a Speedy Cash location in Atlanta, GA received an "F" rating for failure to respond to client complaints. One reviewer on Consumer Affairs noted that the online service was okay, but the in-person experience as lacking. "I went to the store once, and customer service is not one of the traits that the loan officials possess…online is way easier, less of a headache, and you don't have to put up with attitude." If you're considering a payday loan or other financial solution from Speedy Cash, it's important to make sure you've read your contract and understand exactly what fees, interest rates, and finance charges you may be responsible for. While the Federal Trade Commission encourages consumers to explore other options before taking out a cash advance loan, that's not always feasible in a financial emergency. It's in the name, right? Speedy Cash is a direct lender, so they can process your application faster—sometimes in a matter of minutes. The application process is fairly simple, and you can apply online or in-store. There are no upfront fees, and once your loan is approved, you can have the cash within 24 hours—or instantly, depending on how you choose to receive the money. Customers have several payoff options, and there's no fee to pay off your loan early. Online customers say the customer service department is typically easy to reach, friendly, and helpful. A Variety of Loan Options. For bigger expenses or ongoing financial woes, Speedy Cash also offers installment loans and lines of credit. In-store locations also offer prepaid debit cards, cash for gold, and check cashing services. There are some predatory lenders in the short-term lending industry, but Speedy Cash has a good reputation among its customers, and gets 4 out of 5 stars for customer satisfaction at Consumer Affairs. If you're in a financial bind, Speedy Cash offers an easy application process and, in many cases, same-day funding. 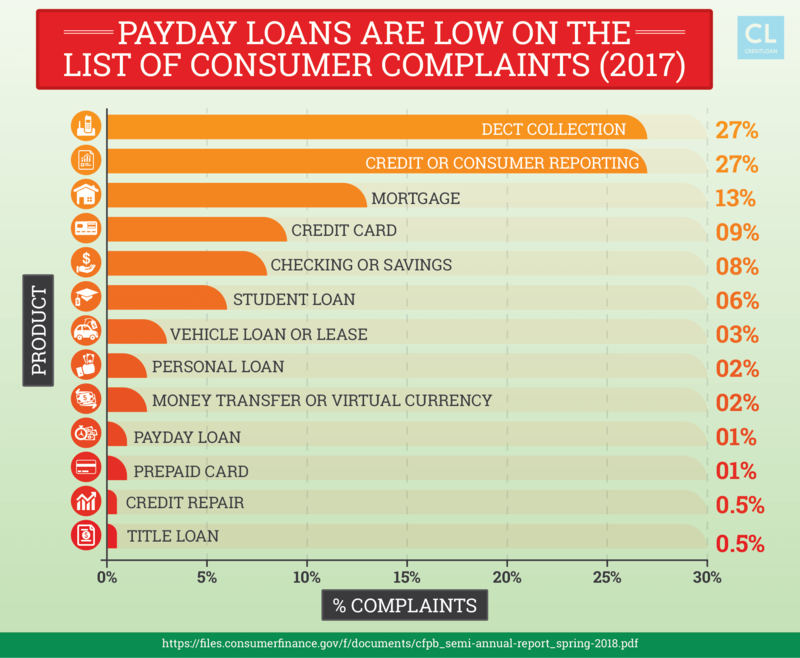 While Speedy Cash isn't immune to the usual downsides of payday loans, customers seem to appreciate the helpful, easy-to-reach customer service department when issues do arise. Not just a little high, but triple-digit-APR high—and you could end up paying back significantly more than you borrow. (We talk a bit more about interest rates below.) Depending on the type of loan you choose, you may also have to pay an origination fee or monthly maintenance fee. Rates and fees for short-term loans are rarely competitive with other options. Speedy Cash requires proof of steady income to apply for a loan, so if you're unemployed, you may not be eligible. You'll also need an active bank account in order to apply, so Speedy Loan services aren't available to the 17 million "unbanked" Americans. And, Speedy Cash is only licensed to operate in certain states—much of the East Coast, for example, is out of luck. Before you apply, make sure there's a Speedy Cash near you. The maximum amount you can borrow varies from state to state and depends on the type of loan—but it can be fairly low. In California, for example, you can only borrow up to $255 as a cash advance. Because Speedy Cash is a direct lender, you'll typically find out within a few minutes whether your loan has been approved and how much you can borrow. Will a Speedy Cash loan affect my credit score? It depends. Certain locations, and certain loan types, may require a credit check before approval. If that's the case, the credit inquiry can slightly ding your credit score. Also, while paying off a Speedy Cash loan on time won't help you improve your credit score, it can lower your score if you miss a payment. If you're working to build better credit, ask your local Speedy Cash location if they'll run a credit check, so you know what to expect. It's important to note that if you agree to a post-dated check or automatic payment option, the money will be withdrawn from your account even if you have insufficient funds, which could result in an overdraft fee or bounced check. If you're unable to pay off your Speedy Cash loan in the agreed-upon time frame, contact their customer service department by phone or in-store. You may be able to get an extended due date or an alternate payment plan—but keep in mind that doing this will likely cause you to pay even more in interest. Dealing with a financial emergency is stressful enough as it is — the last thing you need is for a shady lender to make the situation even worse. Here's what you can expect from your Speedy Cash experience. How do Speedy Cash rates compare to other loans? The rates on a short-term loan can cause some serious sticker shock. Again, this isn't unique to Speedy Cash, but it's definitely something to be aware of if you're comparing Speedy Cash to a traditional lender (such as a home equity loan through your bank). In a typical loan, you'd be charged a low-interest rate with a lengthy payoff period. For example, you might pay 4.25% interest on a 30-year mortgage, or 2.99% interest on a 5-year car loan. But payday loans are meant to be paid off faster—literally on your next payday. So while the fees may not seem terribly high as a lump sum, the APR may be shockingly expensive. Here's how to use the Speedy Cash website to learn how much you'll pay for a cash loan. 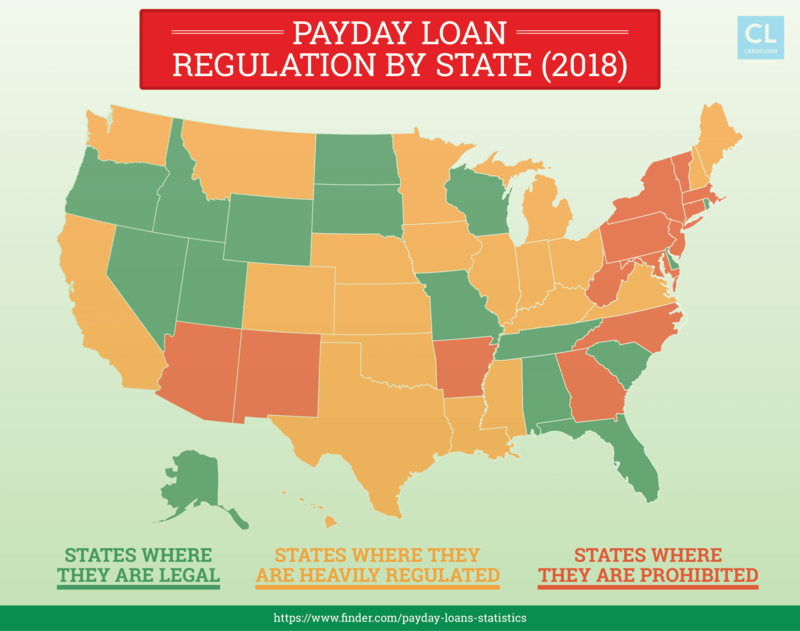 Interest rates for cash-advance loans vary per state, because each state has their own laws regulating how these type of lenders can manage lending you money. Speedy Cash has the cost of the loan on their site per state, but they don't make it very easy to find. It may be that they want you to come into the store, where they know you'll be tempted to take the money and run, no matter the cost. Once you find your state and location on their website, it's still unclear how much you'll pay from looking at the info. Don't bother clicking on "Find a Store." Depending on your state, you'll see all the loan types and their interest rates as tabs. Click on all tabs to make sure you see all the loan interest rates. Some tabs may be user-friendly. Others may just be links to PDFs and legal notices. What can I expect from Speedy Cash customer service? Customers can ask questions about their loans and resolve any issues through a customer service phone number. "Customer service was very good. Answered all my questions…I am very thankful for all their help." "If I ever have an issue, their customer service representatives are always helpful and polite." "The customer service is great… If there is something that you don't understand or need help with, all you have to do is call them and they will walk you through it." Is Speedy Cash safe to use? Speedy Cash makes the privacy and security of its customers a priority, and they continually update their technology to safeguard your personal data. However, they warn of a common phone scam in which the caller claims to represent Speedy Cash, and demands payment for a past loan. While these scammers aren't affiliated with Speedy Cash, it's worth noting that former Speedy Cash customers are more susceptible to this scam—mainly because it's easier to believe you owe money on a Speedy Cash loan if you've actually had a Speedy Cash loan at some point. If someone contacts you requesting money to pay off a past due loan, and you aren't aware of any missed payments, be sure to contact the Speedy Cash Fraud Department directly to verify whether it's a legitimate request. In addition, there have been occasional complaints of customers being held liable when a fraudulent loan is opened in their name. A few months ago, someone fraudulently accessed my account, changed the customer address and banking info, and requested a $1500 loan…I made a police report and a report with the Federal Trade Commission. Out of the blue today, I discovered that Speedy Cash entered my original bank account and deducted the $1500 from me. Before applying for a loan, ask the Speedy Cash representative how fraudulent transaction are handled and what steps you should take if you notice fraudulent activity on your account. As short-term lenders go, Speedy Cash is one of the more reputable options, and the glowing reviews for their customer service line are promising. But as personal finance writer Amy Livingston reports, many borrowers can't break free of the cycle of lending and debt without taking extreme measures like pawning items or borrowing from friends and family. Overall, unless it's an absolute emergency, you may want to explore other borrowing options with lower interest rates. Ask your bank what loan options are available to you. Charge the item to your credit card. Look into nonprofit organizations and community groups that may offer emergency credit. Negotiate with your creditor about the money you owe. They may be able to negotiate a lower interest rate or smaller payment amount. What is the Speedy Cash app? Customers can manage their loans through a mobile app, which is available for both Apple and Android phones. Manage existing payday loans, title loans, installment loans, and lines of credit. Apply for a new loan. Draw additional cash on an existing loan. Search for store locations and contact information. Users have complained about painfully slow loading times for the app. However, another user noted that the app: "May be awfully slow to load, but at least the company behind it provides painless walk-through via phone." The primary complaint about Speedy Cash is the high-interest rates, especially for customers who have taken out installment loans or lines of credit: "I borrowed $900. Now after 4 months of paying $350, my balance is $1147. I am sorry I made this mistake." Automatic payments and post-dated checks can also cause issues with customers. If a payment is automatically applied to your Speedy Cash account, and you don't realize the amount was deducted from your bank account, you may be vulnerable to overdraft fees from your bank or accidentally bounce a check to another creditor. Can I get a Speedy Cash loan if I have bad credit? It depends on the type of loan you need. Payday loans are typically easier to get, as long as you have proof of steady income. If you're applying for an installment loan or opening a line of credit, however, Speedy Cash may check your credit history. How do I check my Speedy Cash loan balance? Speedy Cash customers can view their loan documents and account balance through an online account at the Speedy Cash website. Is Speedy Cash available in my area? Check their website to see if there's a Speedy Cash location near you. In a pinch, there are definitely some advantages to choosing Speedy Cash. The application process is fast and easy, and the company has a solid reputation, especially in an industry that can be prone to loan sharks and scammers. Speedy Cash offers a wide range of products that can help you keep your head above water — whether it's for a few days or a few months — in a financial emergency. However, like most payday loans, the fees and interest rates can be extremely steep. And when compared to a credit card or a loan from a traditional bank, the interest rates are extremely high. If you carry a balance for more than a few months, you'll often end up paying more in interest than you initially borrowed. And if your finances are already a bit unstable, that can lead to severe hardship down the road. Quick-fix financial solutions can be pricey at best, and shady at worst. Better solutions can often be found by calling your bank, applying for an in-store credit card, or negotiating directly with your creditors. But when you've exhausted your other options and need quick cash, Speedy Cash can take some of the guesswork out of the process.